Today we did some problem solving. The hard thing for me was listening to the problem. The easy part was counting. My next step will be to do my work by myself. HI my name is Muhamood and I am from Owairaka school i like how your are talk about the problem solving.What were you doing in your work? But that is cool. If you want to check my blog this is it http://odsmuhamoodm.blogspot.co.nz/ BLOG YOU LATER!!! about this problem solving test, was it 1. maths test, 2. reading test or 3. writing test? What was your favourite part of the problem solving? I like how you added a picture of your work! This is a good post about problem solving. Hi Max it's Saxon and from yaldhurst model school, I really like your blog post about problem solving. I think it's quite cool. Hi Max it's Pyper here from St Patrick's School in Greymouth. I think you've done a really good job of your problem solving. But maybe next time if you take a photo could you take it closer so we can see the problem. Kia ora, my name is Max, I am a Year 8 and I am 12 years old. 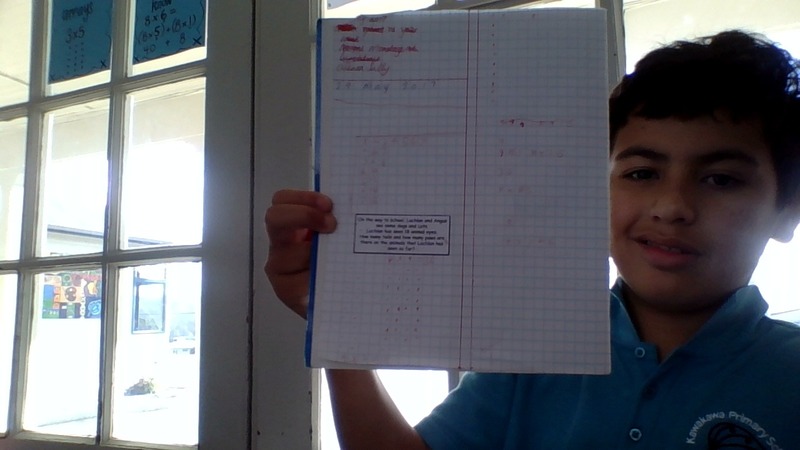 I go to Kawakawa Primary School, I am in Room 5 and my fabulous teacher is Whaea Dana. My hobbies are playing games, going to the shop and helping and playing with my friends. I like learning a lot of maths and my goal is to learn enough of what I need to do for my last year at Kawakawa Primary school.